Windsor is best known as one of Her Majesty’s official residences, with Windsor Castle inspiring the town and local residents. There is no better way to truly capture the resplendence and spectacle of royal life than to witness the Changing of the Guard, as they march up Windsor High Street and into the Castle – a duty that has been carried out since 1660. The stately ceremony begins outside the Guardroom, situated in the Lower Ward of the Castle, and takes only 10 minutes. 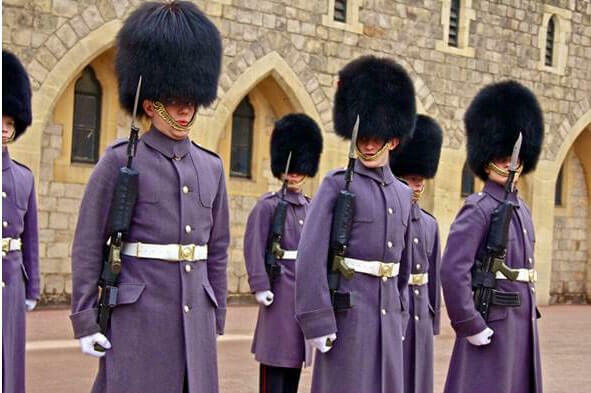 Usually the guards are joined by an official band, to increase the grandeur, but this is dependent on weather conditions. You can also witness the Changing of the Guard inside the castle; this ceremony usually takes around 30 minutes. The old guards then return to the barracks at approximately 11:25am. After a morning of witnessing this regal procedure, why not dine in style at one of the Royal Borough of Windsor and Maidenhead’s finest eateries – Heston Blumenthal’s The Fat Duck. Situated in Bray, Berkshire, The Fat Duck is only a stone’s throw away from Windsor town centre. Run by one of the UK’s most famous chefs, The Fat Duck offers a tantalising menu full of sensory experimentation. At £195 a head, it is a pricey dinner, however the 3.5 hour menu of 14 courses is an experience to remember. 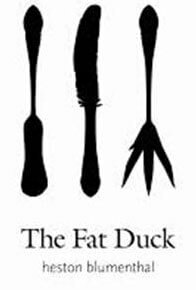 The Fat Duck is open Tuesday – Saturday, with lunch served from 12 noon – last orders at 2pm, and dinner served from 7pm – last orders at 9pm. We recommend staying overnight in Windsor as there is so much to do and see – try Alma House – a boutique B&B on Alma Road – walking distance to town centre.